Sailing boat Jeanneau 53 called Anita has been built in 2011. We offer this yacht from port Portisco in the region close to Sardinia. Anita is licensed for 11 passengers. Layout of the boat is 11. Jeanneau 53 Anita is equipped with 6 cabins. For guests disposal there are 4 heads with showers. With engine 110 Anita can sail really fast. Anita is 16.06 m long and 4.77 meters wide. Draft is 2.28 m. You can search more vessels following this link: Yacht charter Portisco. 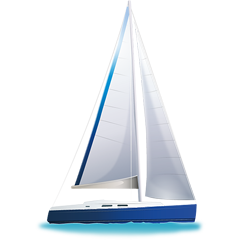 Vessel's equipment includes : Bimini top, Barbecue, Dinghy, Teak cockpit, Anchor electric windlass, Radio cd mp3, TV, Air conditioning, generator, Autopilot, Plotter gps in cockpit, Bow thruster, Furling mainsail. . Nonrefundable caution is at the level of 5000.00 EUR. Choose our offer and enjoy your vacation on the deck of Anita. This Jeanneau 53 from Portisco from Italy You can search by navigating to the section Yacht charter Italy.